Our services, and information provided, will develop as we receive requests - we are therefore always happy to hear from you. Please do email us with your queries, concerns and suggestions. Currently, we offer research, sourcing and concierge services and can assist in holday plans and itineraries as well as introductions to properties which we highlight on our bien choisir page. As we, and no doubt many of you, have experienced the challenging and often expasperating French administrative system, we have collaborated with Tracy Leonetti, an indispensible expert in the reams of paper work required by the French admistration for every situation. You will quickly discover the need for her services if you are consdering a presence in France. 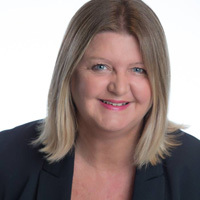 Tracy has over 25 years experience helping people find their way through the maze of French officaldom and is herself currently going thorugh the process of acquiring French nationality! together with their two children, in the South of France. when moving to, living and/or working in France. of the particularly complicated paperwork processes can be frustrating. Believe it we know this and understand your frustrations.